Fleetwood Town: Maxwell, McLaughlin, Roberts ©, Hughes, Morris, Sarcevic, Ball, Jordan, Haughton, McAlinden, Crainey. Sostituzioni: Springthorpe, Murdoch, Pond, Evans, Dobbie, Proctor, Hunter. 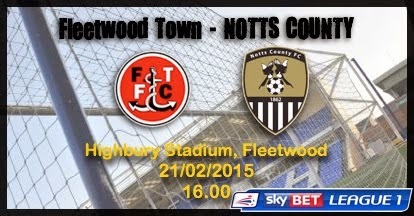 Notts County: Carroll, Dumbuya, Adams, Mullins ©, G Thompson, Newton, Jones, C Thompson, Noble, Woolery, Edwards. Sostituzioni: Pilkington, Hollis, Hayhurst, White, Bajner, Harrad, McCourt. 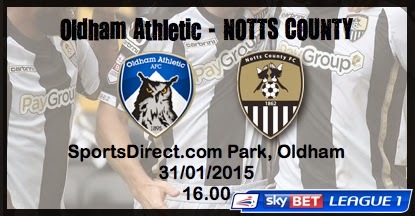 Notts County: Carroll, Dumbuya, Adams, Mullins ©, Hayhurst, G Thompson, Jones, C Thompson, Noble, Bajner, Edwards. Sostituzioni: Pilkington, Hollis, Newton, White, Daniels, Woolery, Harrad. Sheffield United: Turner, Harris, Brayford, Basham, Doyle ©, Murphy, Done, Coutts, Reed, Kennedy, Holt. Sostituzioni: Willis, Alcock, McNulty, Davies, Campbell-Ryce, Freeman, Adams. Leyton Orient: Cisak, Sawyer, Vincelot, Cuthbert ©, Baudry, Lisbie, Mooney, Lowry, Wright, Pritchard, Dagnall. Sostituzioni: Woods, Cox, McAnuff, Batt, Clarke, Bartley, Hedges. Sostituzioni: Pilkington, Hollis, Thomas, White, Daniels, Woolery, Harrad. 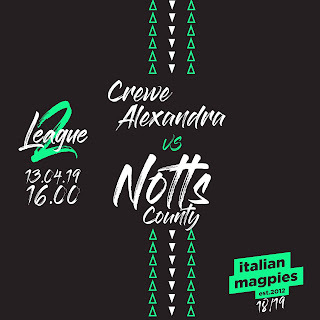 Notts County: Carroll, Dumbuya, Adams, Smith, Mullins ©, Hollis, Hayhurst, C Thompson, Noble, Woolery, Bajner. Sostituzioni: Pilkington, G Thompson, Thomas, Jones, White, Daniels, Edwards. Chesterfield: Lee, Darikwa, Jones, Hird, Morsy, Ryan, Gnanduillet, O'Shea, Clucas, Lavery, Evatt ©. Sostituzioni: Chapman, Humphreys, Raglan, Duffy, Harrison, Banks, Dieseruvwe.